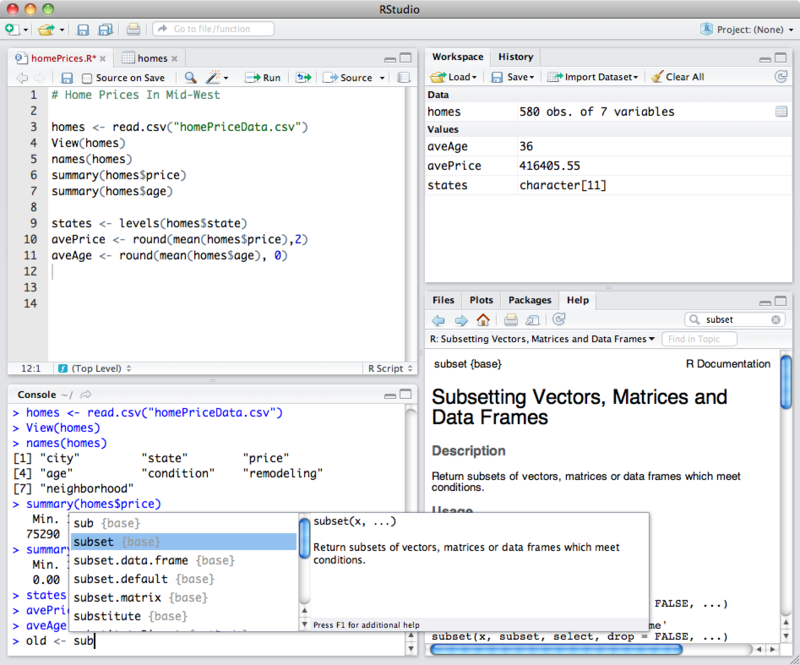 RStudio Server Pro makes your team more productive. 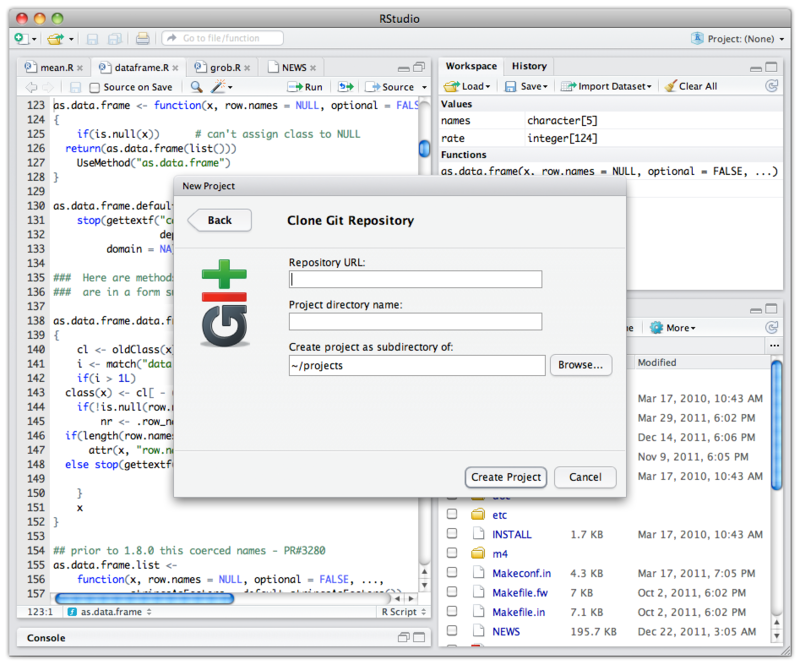 Collaboration tools allow you to share projects and code with your team. Centralized computation enable your team to share high performance server resources. Enterprise grade security integrates with your existing systems to keep data secure. And get priority access to our support team. 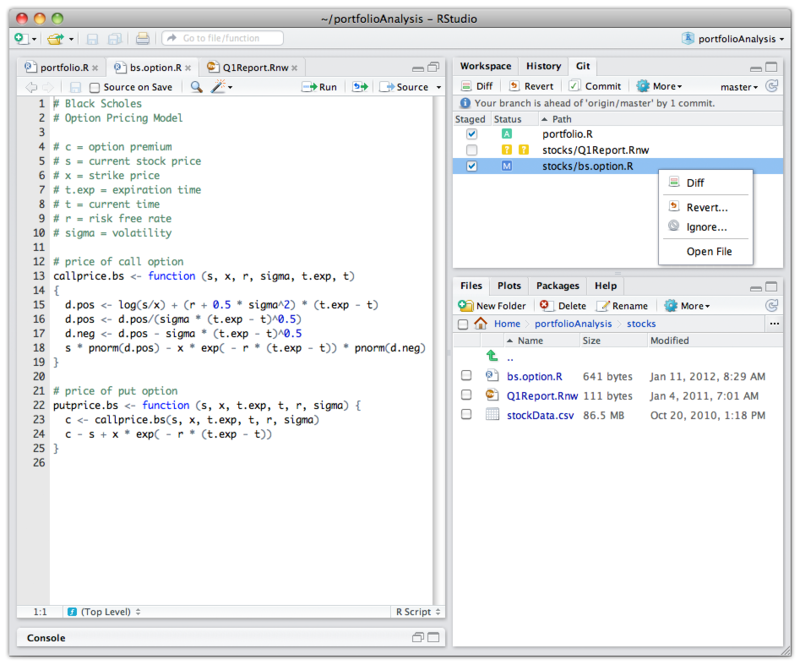 Get a glimpse of RStudio Server Pro and see how it differs from RStudio Open Source Edition. 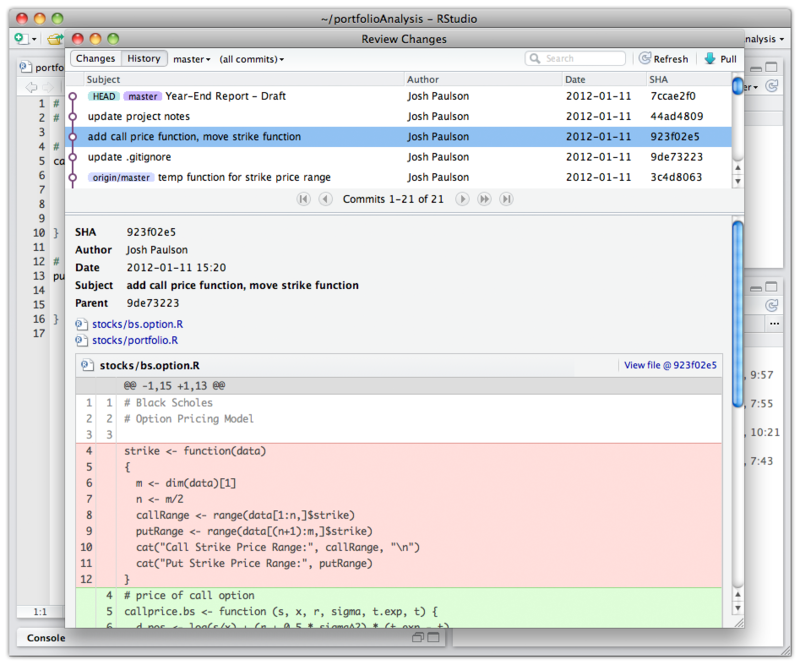 End frustration with versioning issues. 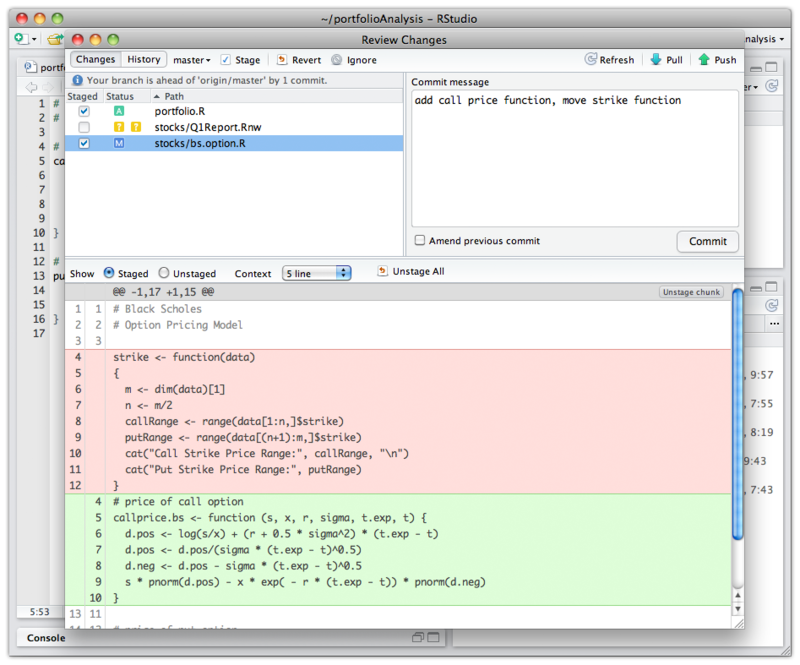 Change R versions on individual projects with one click. Run Multiple Concurrent Sessions once in separate browser tabs. No more emailing projects back and forth. 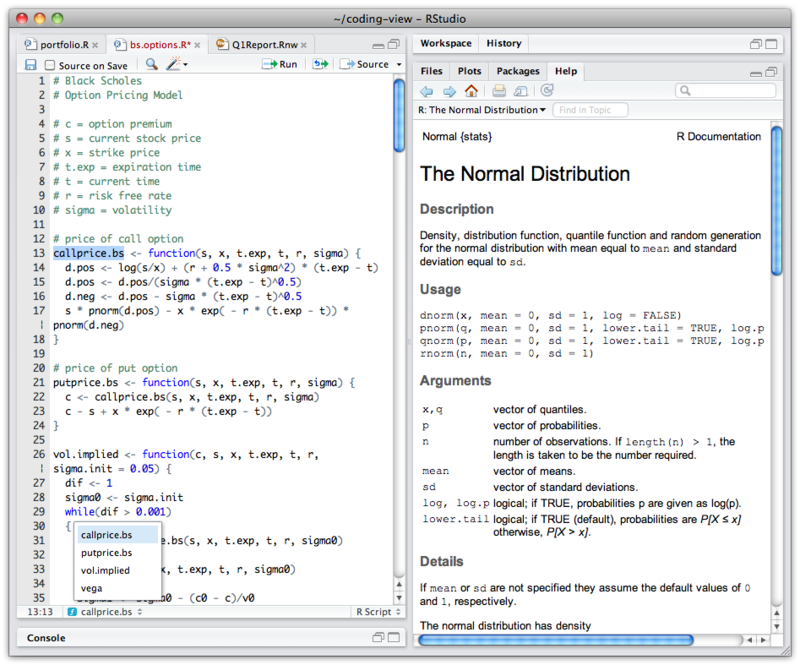 Share projects and even edit simultaneously. 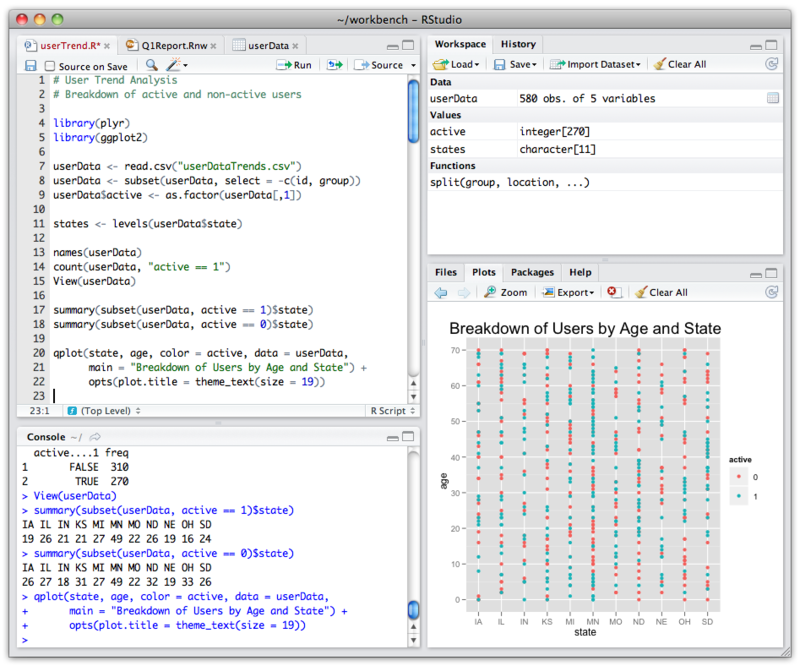 RStudio Server Pro lets multiple users share access to powerful compute resources (memory, processors, etc.) and offers load balancing for high availability. 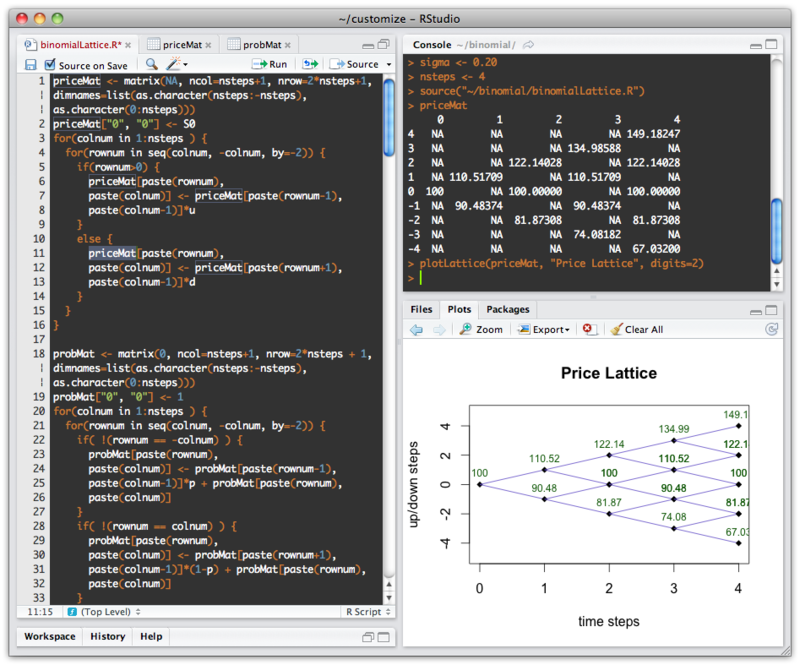 Team leaders can centralize the installation and configuration of their R environment with the visibility and control needed to manage it all effectively. 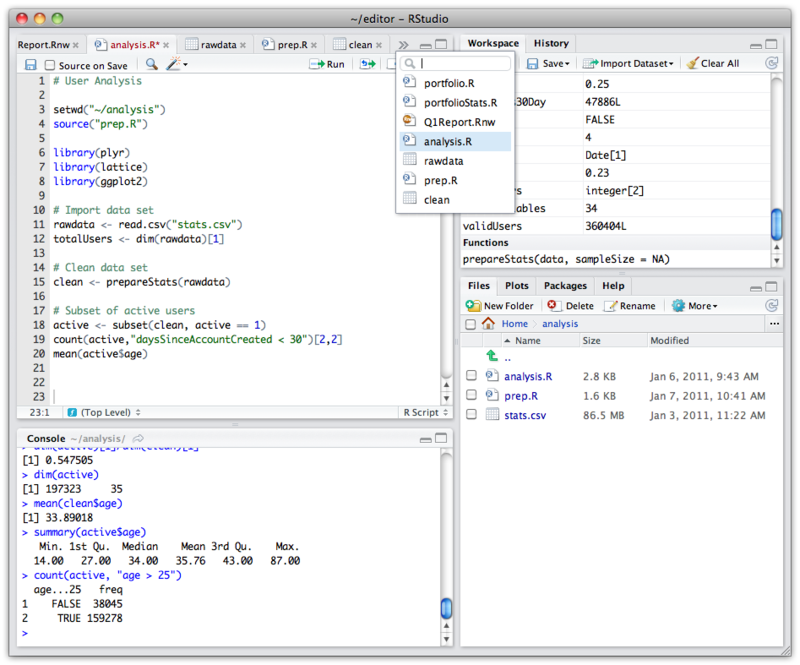 RStudio Server Pro gives your browser-based RStudio IDE secure access to your R workspace from any computer in any location. LDAP, ActiveDirectory, Google Accounts, System accounts, Kerberos, full support for PAM, and custom authentication via proxied HTTP header are all supported along with SSL encryption and IP restricted access. 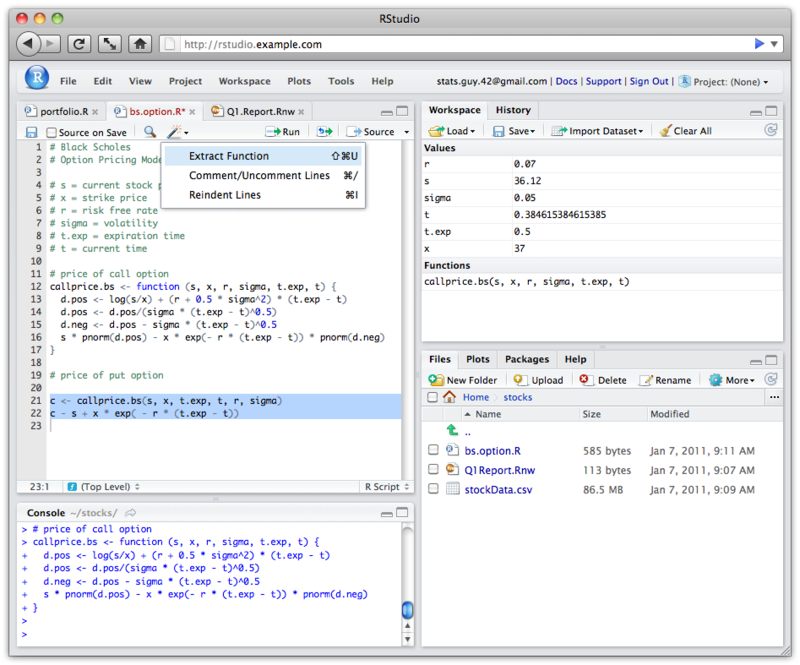 RStudio Server Pro integrates with common IT reporting and data management products. Leverage existing account provisioning and database access profiles with support for PAM session API and script execution. 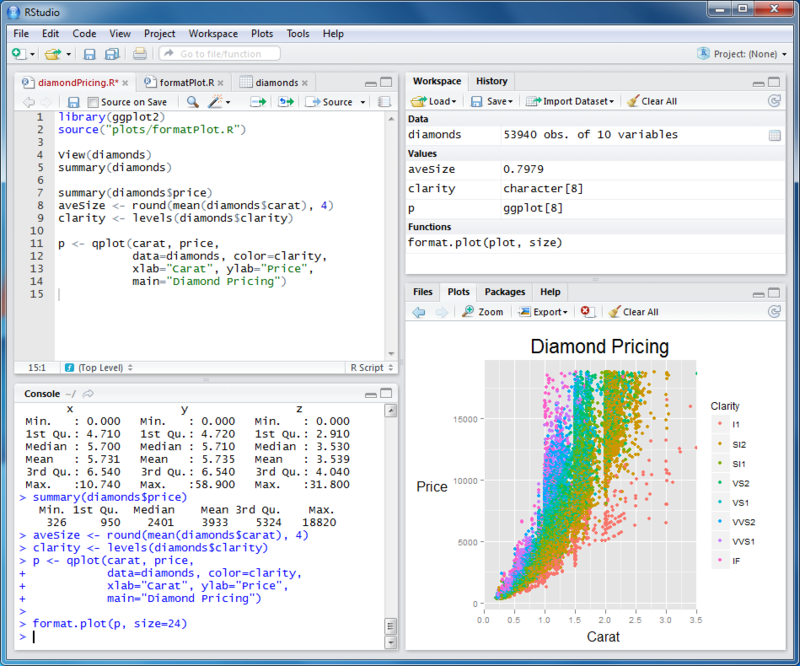 RStudio Server Pro has a variety of features to help your team be more productive with R. Allocate computational resources to specific individuals or groups according to your priorities. 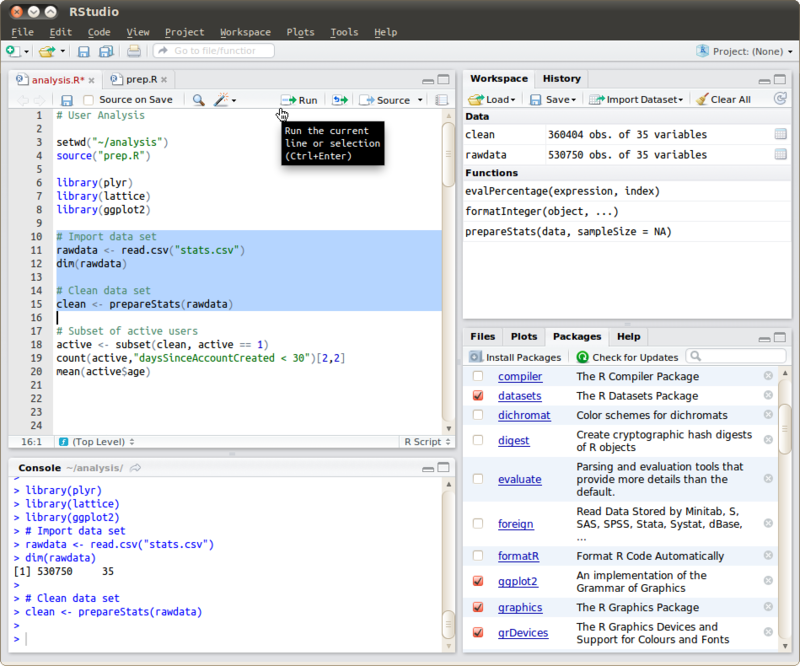 Allow your admins to assist individual R users remotely when they need help.